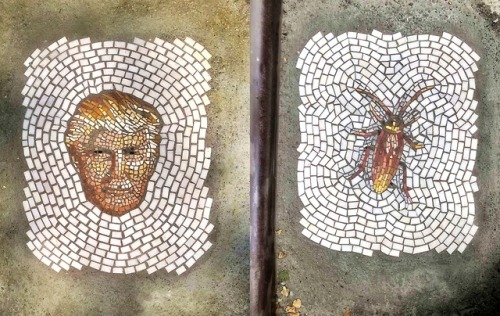 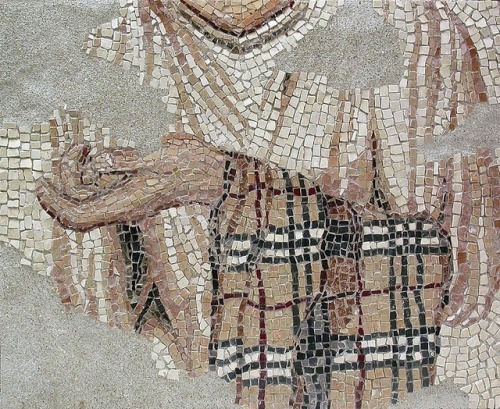 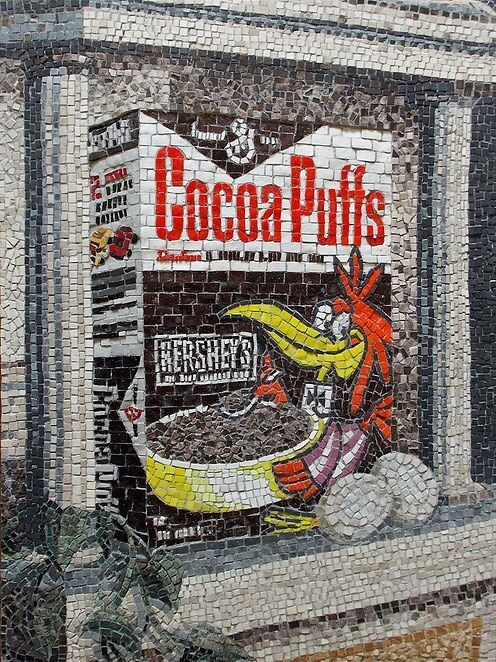 Jim Bachor, born 1964 is known for his contemporary mosaics produced using ancient techniques. 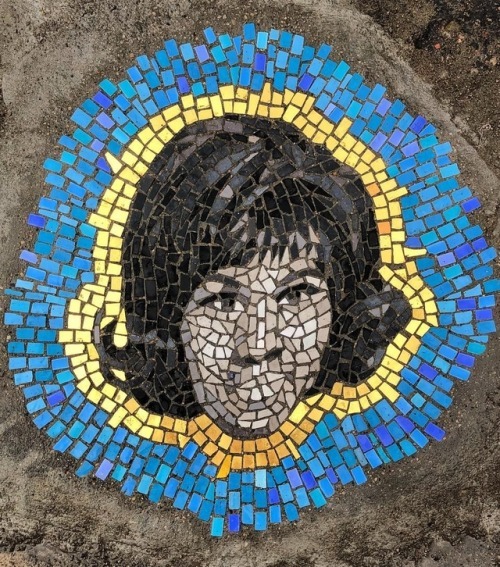 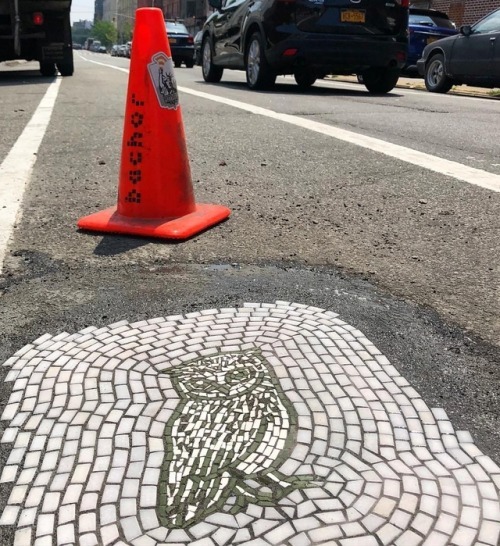 More recently, Bachor has become well known for the mosaic art that he has installed in potholes on the streets. 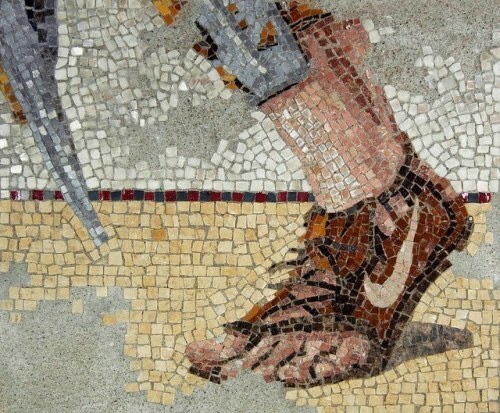 Using the same materials, tools, and methods of the archaic craftsmen, I create mosaics that speak of modern things in an ancient voice. 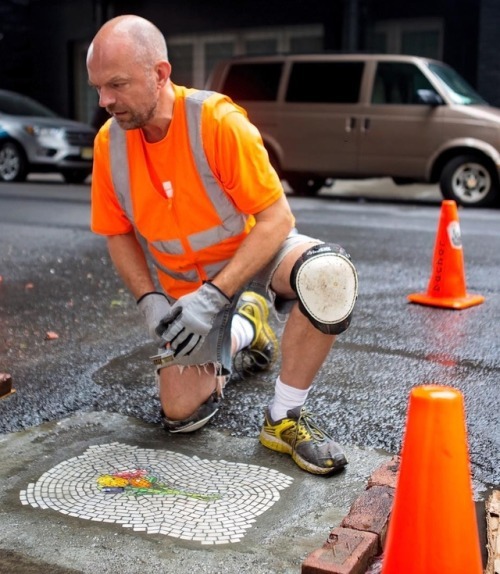 My work locks into mortar unexpected concepts drawn from the present. 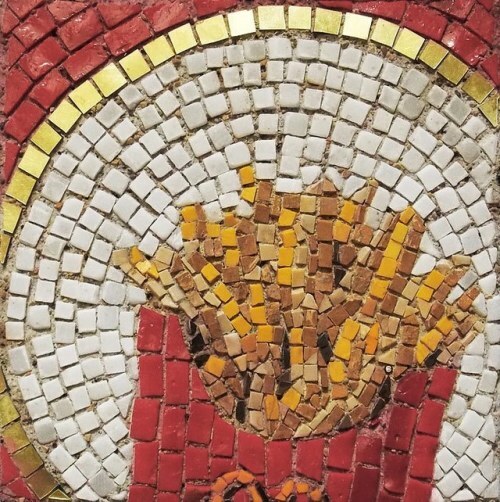 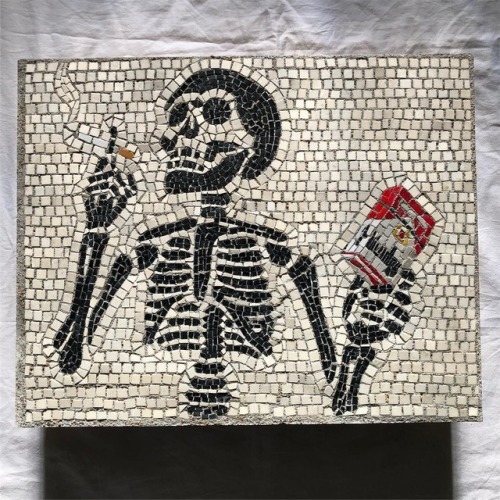 By harnessing and exploiting the limitations of this indestructible technique, my work surprises the viewer while challenging long-held notions of what a mosaic should be. 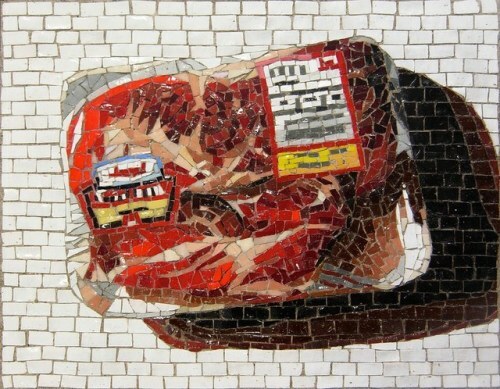 Like low-tech pixels, hundreds if not thousands of tiny, hand-cut pieces of Italian glass and marble comprise my work.